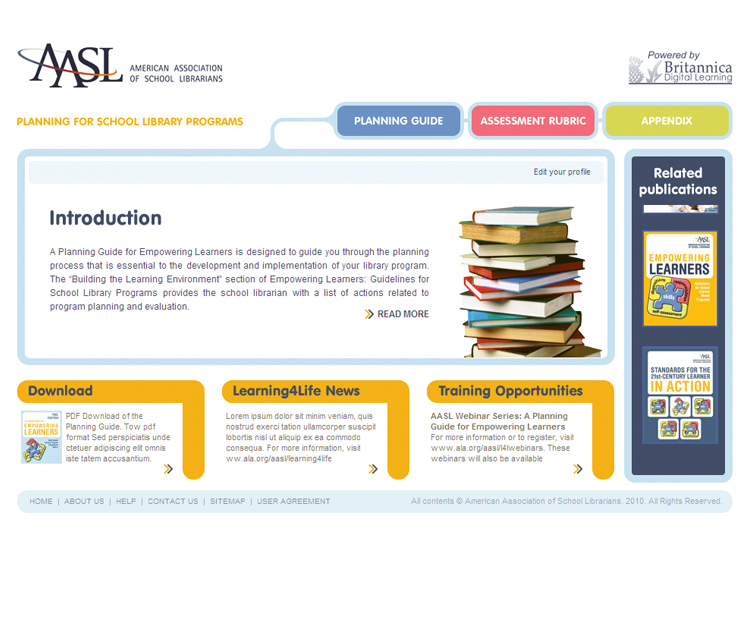 The American Association of School Librarians (AASL) has joined with Britannica to create an online, interactive planning module to support implementation of AASL program guidelines, saving time and delivering data. 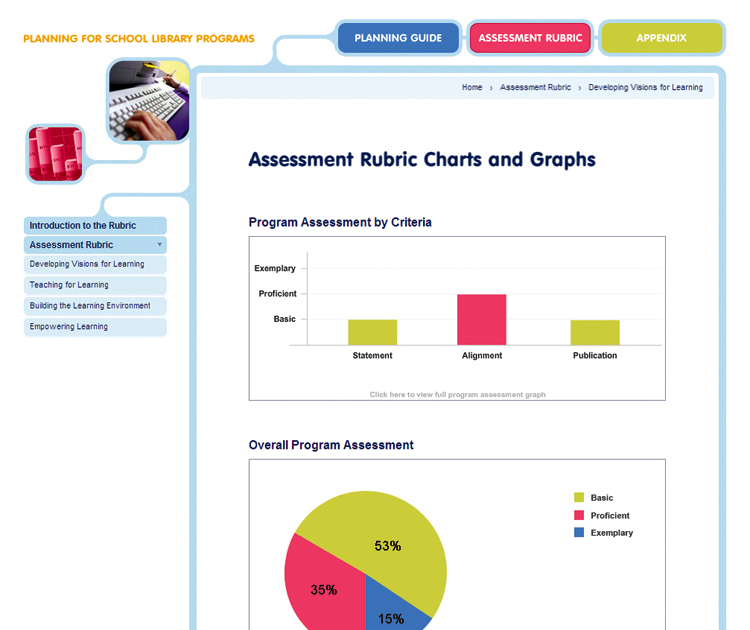 The cornerstone within the module is the School Library Program Assessment Rubric, a tool that allows school librarians to assess their program on 16 different sets of criteria, or 65 individual criteria. 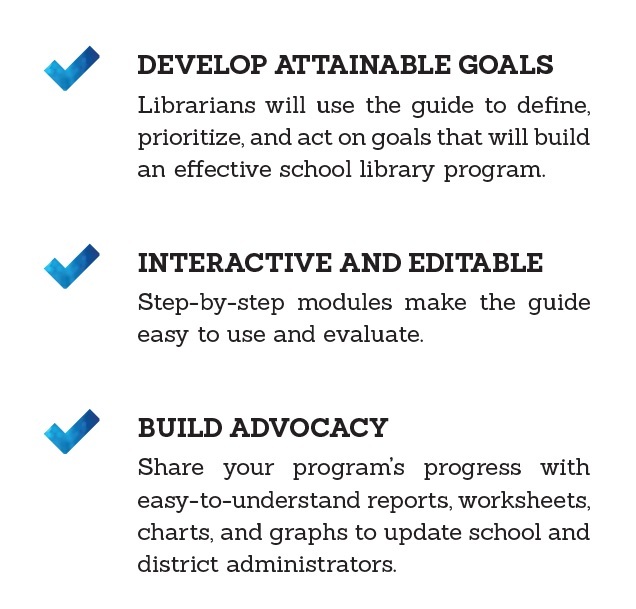 User data is converted into top-level summary charts and graphs that school librarians can share with stakeholders, colleagues, and supervisors when discussing library program health, or save and archive year-to-year to determine progress comparisons. 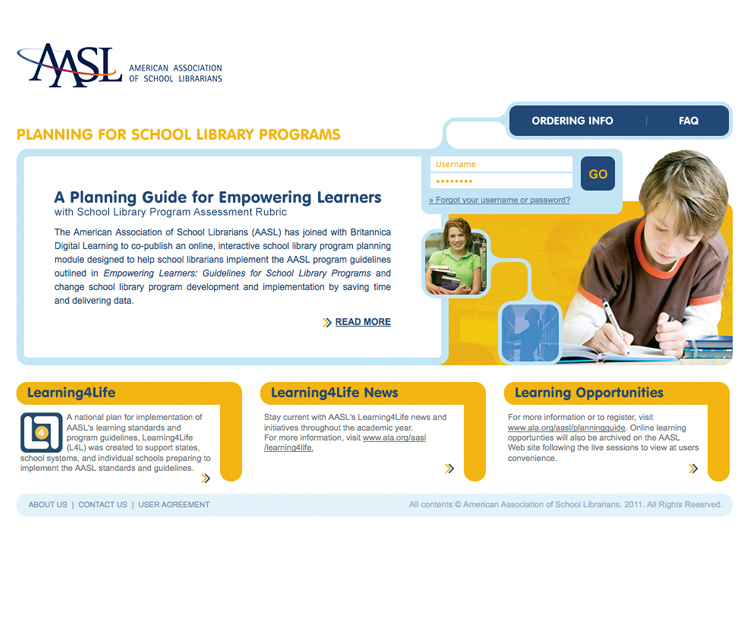 collaboration in developing and executing goals, objectives, and action plans.